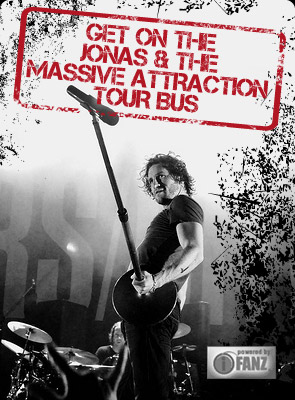 JONAS & THE MASSIVE ATTRACTION HEAD NORTH…..WAY NORTH! Jonas & The Massive Attraction are excited about their unique upcoming trip to Kuujjuaq, QC, the largest northern Inuit community in Nunavik, to perform as part of the annual Aqpik Jam on August 15, 2012 at 9:00 Pm at the Katittavik Town Hall and Cultural Centre. Kuujuaq has a rich history that dates back beyond 1811, when the Moravians arrived as the first European to make contact with the local Inuit community. In 1830, the Hudson Bay Company established the first ever trading post of the area in Kuujjuaq and in 1942, the Americans constructed a U.S. Airforce base on the west shore of the Koksoak River, which closed in 1945 at the end of World War II. How cool is that! Every now and then rock & roll train (in this case a plane!) takes you to some amazing places that most people don’t get the opportunity to visit and Kuujjuaq is definitely one of those experiences. The guys are stoked to ROCK Kuujjuaq and look forward to meeting everyone from the Nunavik region, who roll into town for the jam!